There are many small things that can happen to your retriever out hunting (or hiking or running on the beach), thorns in their feet, cold tail, seeds in their eyes, ticks, and more. Most of these things can lead to a trip to the vet unless they are immediately addressed. 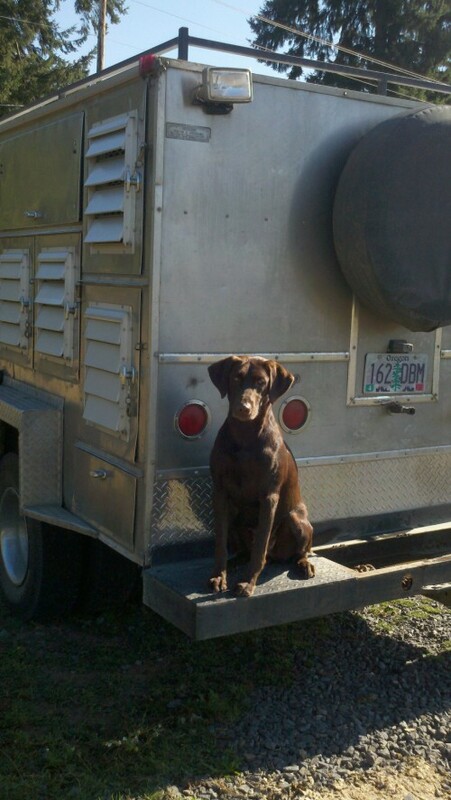 I suggest that each time, after having your hunting dog in the field you put him on the tail gate of your truck (or wherever) and give them a once over. If your hunting dog has been swimming make sure to dry them off when you are done hunting. Drying your hunting dog’s ears can prevent ear infections. Drying his rear under his tail can prevent cold tail. On top of everything your hard working retriever will love be dried off and it will most likely save you a trip to the vet in the future. If your retriever has been up-land hunting and running through tall grass with lot of seeds, the seeds can get in their eyes. After a day or two of a seed being in your hunting dogs eye it can burrow down into their third eyelid and you will have to take them to the vet to get removed. On the other hand if you routinely flush your retrievers eyes with saline solution (just like you would use for your eyes/contacts) when you are done hunting this can flush out seeds, again save you a trip the the vet. 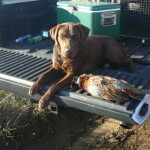 No matter what hunting terrain you are in just doing a quick once over of your retriever can help. Run your hands all over your hunting dog looking for scratches, bumps and/or ticks. If you find a thorn in your retriever’s foot, you can pull it out before it gets deeper and/or infected. Also you might notice a tick that you can hopefully remove before it bites your hunting dog or remove it if has already attached to them. Just by being proactive and doing a few simple things with your retriever after hunting you can make them healthier, happier, and save yourself a trip to the vet!